Why Does My Smoke Alarm Keep Beeping? Smoke alarms are essential in every home and business establishment. If there’s a fire everyone else inside the house or office will know and respond immediately. They emit a beeping sound increasing in intensity when they detect smoke and heat in its vicinity. However, there are times when the alarm keeps beeping even without smoke or heat to detect. If this is the case, then be warned not to turn it off completely, or take out the batteries. A smoke alarm that is off makes you and your home vulnerable to fires, not to mention that it’s against the law to do so. There are reasons why the smoke alarm keeps beeping. Read on to find out. One of the reasons why smoke alarms keep beeping or chirping is that it has a low battery. To fix the problem, it is important to replace the battery as soon as possible. If the battery has been changed, and the problem still occurs, then it is best to have a technician take a closer look at the detector. The sooner the smoke alarm is fixed, the safer it is for everyone. When insects are trapped in the device, the smoke alarm will keep chirping and beeping. Another cause could be the accumulation of dust in the optical detector. These foreign objects block the sensitivity of the alarm from detecting even a small amount of smoke or heat. To avoid this from happening, take time to clean the alarm and keep insects and dust away from inside your house. This not only keeps you alarm free from dust and insects, but also keeps your private space free from possible allergens. Aside from battery level and sensor blockage, a smoke alarm may have been incorrectly wired, or its wiring may have been worn off. However, this case only applies to AC/DC or AC smoke detectors. If the wiring is grounded, the detector will beep every five seconds; check the orange wire in the smoke alarms. If it is grounded, then the best solution is to look for an electrician who can fix the wiring in the detector. Proper installation of smoke alarms is important for them to function well. 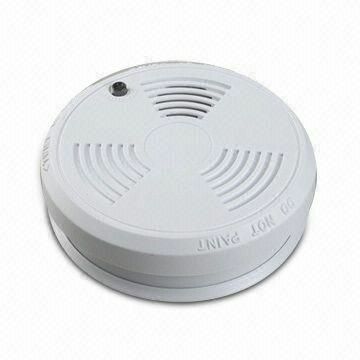 Smoke detectors must be installed on the wall or the ceiling where no other object blocks its detector, and it is visible to everyone in the vicinity. The devices should be checked at least once a month to make sure that there are no problems with the wiring of the smoke alarms. Most smoke alarms are inexpensive and can last for almost a decade. Homeowners are encouraged to install at least one smoke alarm in their homes. Why My Smoke Alarm Keeps Beeping? Why Does the Right Lung have 3 Lobes? Why Does my Left Breast Hurt? Why Does Smoking Increase Blood Pressure?